Daniel Lloyd and Team Parker racing will team up in 2013 for an all-out challenge on the overall title in the Porsche Carrera Cup GB. After being selected for a second season as the Carrera Cup Scholarship driver, Lloyd will try to become the first driver to win the title as a Scholar. The Huddersfield racer, who will celebrate his 21st birthday less than a month before the start of the 2013 season, is renewing his partnership with Team Parker Racing and says that the knowledge he gained in his debut season last year will serve him well. Lloyd was incredibly quick from the start and scored a fantastic victory in treacherous conditions at Thruxton in April, but also suffered some ups and downs across the balance of the season as he raced to sixth place in the final standings. 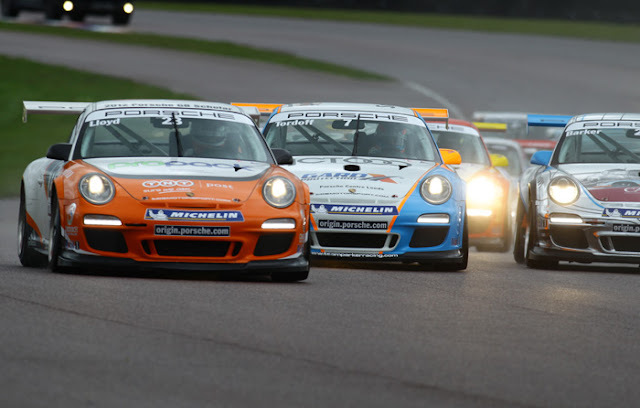 The 20-race Carrera Cup GB season starts at Brands Hatch on 30/31 March.